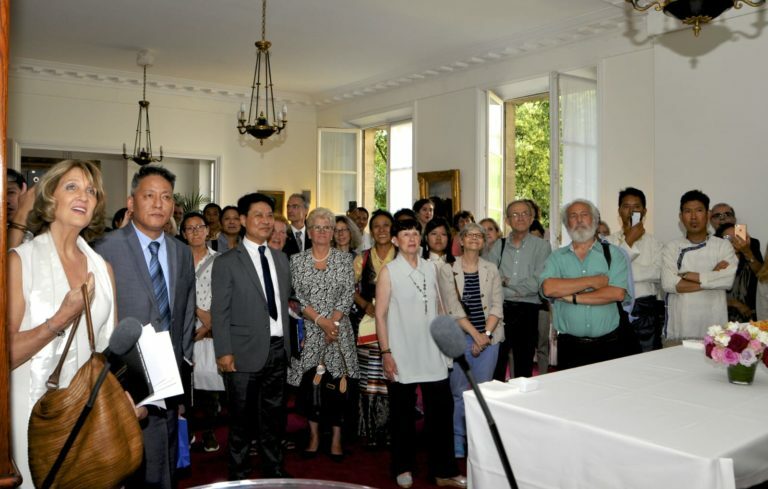 (TibetanReview.net, Jul08, 2018) – Finance Kalon (minister) Mr Karma Yeshi of the Central Tibetan Administration (CTA) at Dharamshala, India, on Jul 6 attended an event in the Lower House of the French parliament premise held to mark the 83rd birthday of the Dalai Lama. 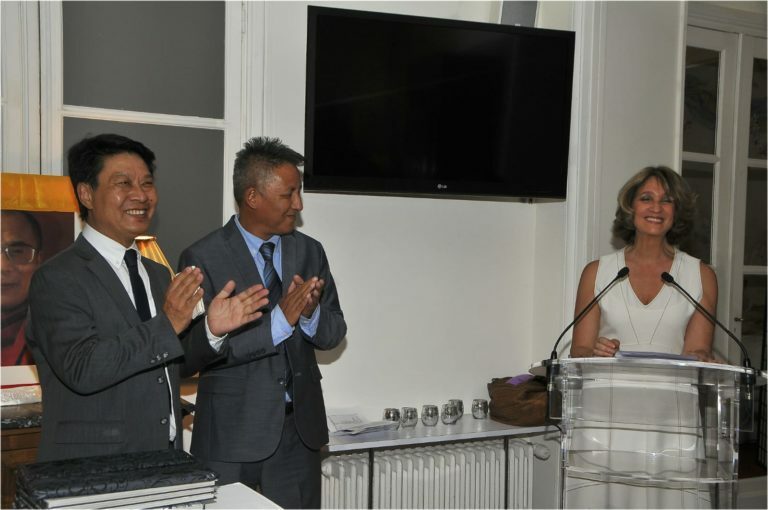 It was hosted by Ms Elizabeth Toutut, MP, and was attended by representatives from the diplomatic corps, NGOs, and Tibet Support Groups, as well as parliament members, besides a big contingent from the Tibetan community, said the Bureau du Tibet, Paris, Jul 7. Toutut has called the Dalai Lama a symbol of peace and compassion and his contribution to the world immense. She has also referred to the gravity of the human rights situation in Tibet under Chinese rule and assured that France, and indeed she herself, would continue to support the cause of Tibet. Karma Yeshi has said Tibetans were most fortunate to have the Dalai Lama as their leader and urged everyone to abide by his guidance and pray for his long life. He has also thanked France and her people for supporting the Tibetan people in their darkest days, noting that this was why Tibetans were observing 2018 as the year of gratitude. A book titled THANK YOU EUROPE – FOR HOISTING THE TIBETAN FLAG was launched. It was compiled by 35 Tibet Support Groups in Europe which had campaigned to make towns and villages across the continent to hoist the Tibetan national flag on the Tibetan National Uprising Day of Mar 10 to express their solidarity with the Tibetan people. The campaign had continued for 30 years and garnered support from nearly 2000 towns and villages with hoisting of Tibetan flags. Also launched was Merci La France – Thank You France – a video tribute by Tibetan community to France and its people.